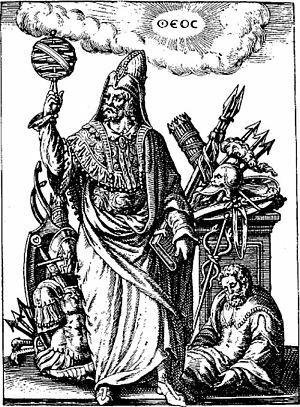 The Hermetic Formula (and a WOD) | Robert Mitchell Jr.
What is Hermeticism, and why should we care? Hermeticism is a spiritual philosophy that claims to be the perennial philosophy, the Ageless and Primordial Wisdom. Based on an ancient document known as The Emerald Tablet of Hermes Trismegistus, whose most enduring quote is the famous, “As above, so below,” Hermeticism forms the backbone of Western esoteric thought. The historical influence of Hermeticism cannot be overstated. There was a time when the world’s greatest thinkers were Hermeticists — Pythagoras, Isaac Newton, Carl Jung, Giordano Bruno, Aleister Crowley, Israel Regardie, Dion Fortune, Franz Bardon, John Dee, William Butler Yeats, and many more. And when you consider that Freemasonry is essentially a Hermetic organization, and that 14 U.S. Presidents, plus Franklin, Mozart, Twain, and Churchill were all masons, you can see that Hermeticism is one of the most important spiritual philosophies in history. Mystic, Gnostic, Magical, and Scientific. The individual who has achieved, reconciled and sublimated all four ways of seeing has attained the Holy Grail, the Philospher’s Stone, the coveted AZOTH. In other words, Hermeticism is the original human potentiality movement. If you are interested in learning more, consider becoming a hermit brother or sister of Cabal Fang — the world’s only Hermetic martial art — by joining our distance learning program. This entry was posted in Martial arts, Mysticism and tagged cabal fang, hermeticism, WOD. Bookmark the permalink. Pingback: The Antidote of We | Robert Mitchell Jr.